Check out the video on this post…. The medical science is strongly in favor of THC laden hemp oil as a primary cancer therapy, not just in a supportive role to control the side effects of chemotherapy. 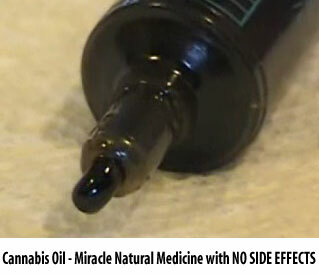 The International Medical Veritas Association (IMVA) is putting hemp oil on its cancer protocol. It is a prioritized protocol list whose top five items are magnesium chloride, iodine, selenium,Alpha Lipoic Acid and sodium bicarbonate. It makes perfect sense to drop hemp oil right into the middle of this nutritional crossfire of anti cancer medicines, which are all available without prescription. According to Dr. Robert Ramer and Dr. Burkhard Hinz of the University of Rostock in Germany medical marijuana can be an effective treatment for cancer. [v] Their research was published in the Journal of the National Cancer Institute Advance Access on December 25th of 2007 in a paper entitled Inhibition of Cancer Cell Invasion by Cannabinoids via Increased Expression of Tissue Inhibitor of Matrix Metalloproteinases-1. Marijuana cuts lung cancer tumor growth in half, a 2007 Harvard Medical School study shows. [vi] The active ingredient in marijuana cuts tumor growth in lung cancer in half and significantly reduces the ability of the cancer to spread, say researchers at Harvard University who tested the chemical in both lab and mouse studies. According to Devra Davis in her book Secret History of the War on Cancer, 1.5 million lives have been lost because Americans failed to act on existing knowledge about the environmental causes of cancer. It is impossible to calculate the added deaths from suppressed ‘cancer cures’ but we do know of the terrible suffering of hundreds of thousands of people who have been jailed for marijuana use. Hemp oil with THC included has the making of a primary cancer treatment, which even alone seems to have a great chance of turning the tide against cancer tumors. It has the added advantage of safety, ease of use, lack of side effects and low cost if one makes it oneself. Surrounded by other medicinal anti-cancer substances in a full protocol it’s hard to imagine anyone failing and falling in their war on cancer. The science for the use of hemp oil is credible, specific fact-based, and is documented in detail. [xiv] There is absolutely no reason to not legalize medical marijuana and create an immediate production and distribution of THC hemp oil to cancer patients. Unfortunately we live in a world populated with governments and medical henchmen who would rather see people die cruel deaths then have access to a safe and effect cancer drug. The differences between Avastin and hemp oil are huge. First Avastin will earn Genentech hundreds of millions where THC hemp oil will earn no one anything. Second there are no severe or even mild side effects to taking hemp oil and lastly it is not a temporary answer but a real solution. Certainly hemp oil will ensure a longer life. Can employers and others access my medical marijuana recommendation or ID card information?